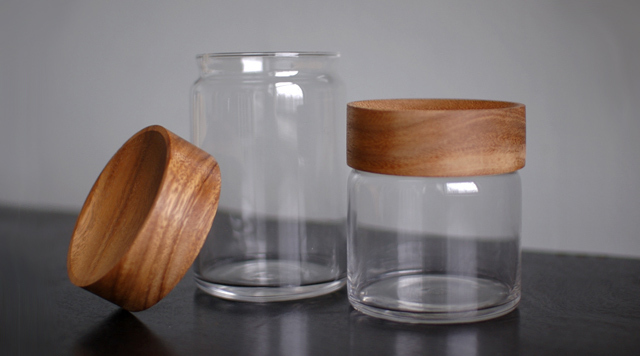 These wood/glass canisters from Merchant 4 have a wonderfully understated modern look. Available in two sizes with Acacia wood lids, their prices range from $14 to $17 or as a set for $30. Perfect for the kitchen, bathroom, or wherever else you want to store things in view.